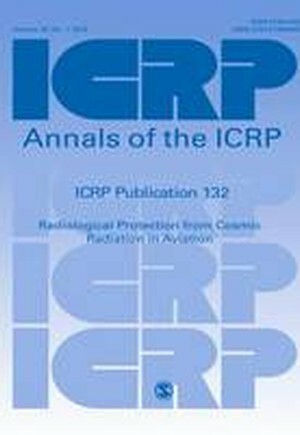 In this publication, the International Commission on Radiological Protection (ICRP) provides updated guidance on radiological protection from cosmic radiation in aviation, taking into account the current ICRP system of radiological protection, the latest available data on exposures in aviation, and experience gained worldwide in the management of exposures in aviation. The publication describes the origins of cosmic radiation, how it exposes passengers and aircraft crew, the basic radiological protection principles that apply to this existing exposure situation, and the available protective actions. For implementation of the optimisation principle, the Commission recommends a graded approach proportionate to the level of exposure that may be received by individuals. The objective is to keep the exposure of the most exposed individuals to a reasonable level. The Commission also recommends that information be disseminated to raise awareness about cosmic radiation, and to support informed decisions among concerned stakeholders.